Chengyu (成语 Chéngyǔ) are idiomatic phrases which usually consist of four characters. Because many chengyu originate from classical Chinese, they are most often found in written, rather than spoken language. Although many Chinese language programs include them in their textbook vocabulary, chengyu are not essential to learning functional Chinese, and studying too many of them is probably unnecessary (until you are at an advanced reading level to where you start to encounter them frequently). Chengyu are more limited in their usage, and it isn't possible to "experiment" with using them in your own ways like it is with most other vocabulary words. However, there are interesting stories behind many of them from which you can learn Chinese culture and history, which might be why Chinese textbooks include them. How Many Chengyu Are Necessary to Know? Most chengyu come from classical Chinese, a language unintelligible to all but the most educated audiences. Only about 500-600 chengyu are commonly used in newspapers and magazines, and still less are common in TV shows, movies, speeches, and conversation. If you are learning to speak, don't worry too much about learning chengyu, as you won't be expected to use or understand most of them, especially as a non-native learner. I recommend learning chengyu primarily through osmosis, which is to gradually pick them up as you progress in your Mandarin immersion learning. Chengyu are much more difficult to learn than normal vocabulary because they can usually only be used in specific contexts, which you have to study case-by-case. Normally, newly acquired words can be tried out in different circumstances, and one learns how to use them by trial and error. Chengyu can not be experimented with in this way, and must instead be learned through examples sentences, making chengyu easily the most time-consuming advanced vocabulary to learn. Furthermore, because their usage is so limited, it is easy to use a chengyu in an incorrect context, leading to embarrassment for the speaker. For those reaching the advanced level, it is a good idea to acquire about 200 chengyu if you want to not have to get hung up on them while you read. Around this number will give you a solid grasp of the more commonly used idioms, as well as help you understand how meaning is compacted and synthesized into these phrases. After you have an understanding for how most chengyu are constructed, it becomes easier to guess at the meaning of unfamiliar chengyu as you encounter them. However, since most learners don't know the 3,000 characters it takes to read a newspaper, it's not necessary to learn several hundred chengyu. 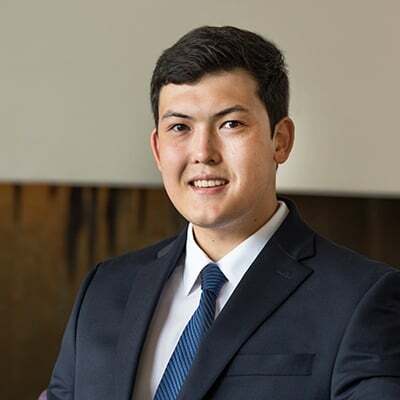 Until then, I would recommend learning the few chengyu which you are more likely to encounter in spoken language, as well as few a chengyu whose stories interest you. 人山人海 (rénshānrénhǎi): This idiom literally means "people mountain, people sea," and can be used to describe the feeling of going onto the subway during rush hour in a major Chinese city like Beijing or Shanghai. 马马虎虎 (mǎmǎhǔhǔ): This idiom contains relatively simple vocabulary, literally meaning, "horse-horse, tiger-tiger." Most people will find it amusing if you use this idiom, which means "so-so" or "not so bad." It is common for foreign students to use it, because it is usually one of the first things they learn to say. 自由自在 (zìyóu zìzài): This idiom literally means "unrestrained freedom," but usually means to be "free and easy." It features in a classic Taiwanese song called, "我相信 (I Believe)," which is a good song to learn for KTV outings. 乱七八糟 (luànqībāzāo): This idiom is a historical reference, but it is more common than most chengyu in conversation. It literally means "chaos seven eight mess," and originates from two periods: one chaotic revolt in which seven princes rebelled against the Emperor of the Western Han dynasty, and one power struggle involving eight separate members of the Jin dynasty's royal family. It can be used to describe chaotic and disorderly circumstances, or a messy room. 入乡随俗 (rùxiāngsuísú): This idiom literally means, "observe local customs," and is another idiom foreign students learn, possibly because it is easily translated as "when in Rome, do as the Romas do." 津津有味 (jīnjīnyǒuwèi): This idiom means to relish or particularly enjoy something, especially food. Here, 津 means to "salivate," and 有味 means to "have taste." However, this idiom can also be used to describe other activities besides food that people find engaging. This idiom literally means to "contradict oneself." The story behind this idiom is about a man who sold weapons. The man proudly advertised that his spears were so sharp they could pierce any shield, at the same time that he claimed his shields were so tough they could not be pierced by any spear. Possibly because of this story, the modern word for contractions is 矛盾(máodùn), a combination of spear (矛), and shield (盾). 画蛇添足 (huàshétiānzú): This idiom literally means "to add a foot when drawing a snake." The expression originates from the Warring States period, when the ruling household in the state of Chu decided to give out a pot of wine to the servants. Since there was not enough wine for all the servants, one servant suggested they have a contest to see who could draw a snake the fastest. When one servant finished long before the others, he decided to show off by adding some feet to the snake. However, before he could finish, another servant claimed the wine vessel, pointing out that the game was to draw a snake, and since snakes don't have legs, the first servant had disqualified himself. 对牛弹琴 (duìniútánqín): This idiom can be literally translated as, "to play the qin (a traditional Chinese instrument) to a cow," and it comes from a story about a talented musician who also lived during the Warring States Period (a lot of Chinese philosophy and culture comes from this period). While traveling through the countryside, he felt inspired to play his music to a cow. After trying several different songs, the cow didn't seem to take any notice, and he went home disappointed. His story is now a popular idiom because of the bizarre image it conjures. 塞翁失马 (sàiwēngshīmǎ): This idiom can be translated as "a blessing in disguise." The story behind this idiom is about an old man who raised horses in a border region. One day, his prize horse wanders away into the neighboring province. The friends of the old man were astonished to find that he was not bothered by the disappearance of his best horse. One day, the prize horse returned, bringing another horse back with it. The prize horses later made the old man rich. 君子一言, 驷马难追 (jūnzǐ yī yán, sìmǎ nán zhuī): Sometimes, chengyu have eight characters separated by a comma, like a couplet. This phrase literally means, "once a gentleman's words leave his mouth, a team of four horses would not be able to chase them down." 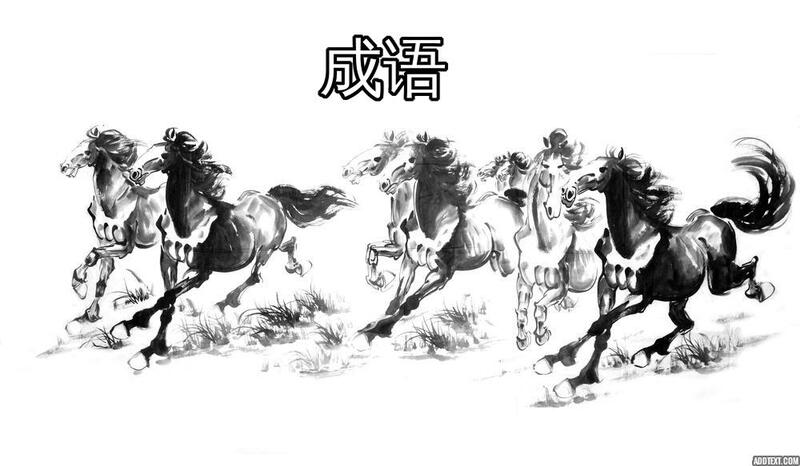 This ancient Chinese metaphor for the character of a gentleman (君子 jūnzǐ) suggests that one's actions should follow one's words so quickly that not even a team of four horses would be able to stop them. It is similar to the English saying "actions speak louder than words," but is more formal.